Senator Randall discussed Initiative 735, which seeks to counter the federal Citizens United ruling. Senator Randall discussed a bill for early childhood learning, . Senator Randall talked about regressive tax policies. 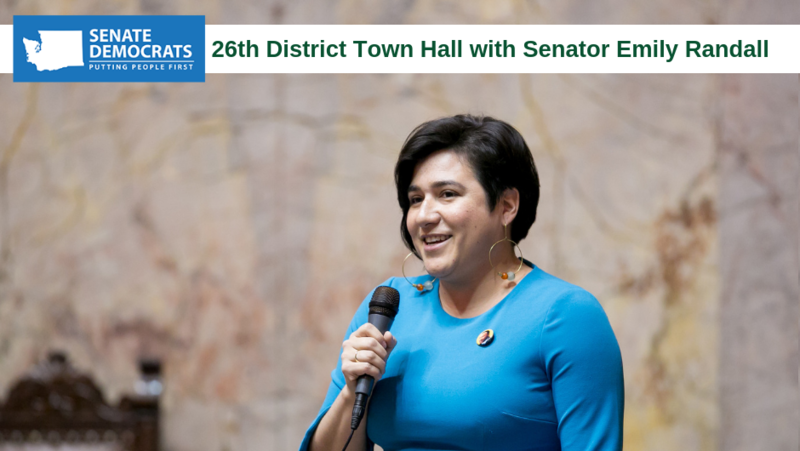 State Senator Emily Randall held this Access Live event to provide updates to her constituents in the 26th Legislative District. Participants were interested in the RHAA and access to reproductive healthcare. Senator Randall also addressed some of the educational issues in Washington state, such as early childhood learning, tuition waivers and college course loads.